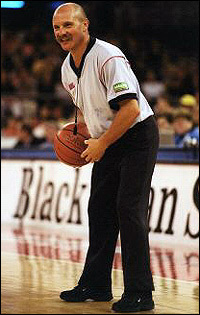 A member of the NBL’s referee panel during the league’s inaugural year, Ray Hunt went on to claim the record for most NBL games officiated across an incredible 33-year career. Hunt’s refereeing journey began as a way to earn pocket money when he was a junior as he transformed into the black and white stripes after playing stints with St. Kilda Police Boys and Melbourne Church as well as senior team Auburn. While his physical stature removed any hope of a professional playing career, Hunt stuck with refereeing and amassed a countless amount of games at junior and senior association levels, secondary and state leagues, national leagues as well as at World Championships and Olympics. In 1971, Hunt made the Victorian State Championship Referees Senior Panel and then got his big break three years later when he refereed at the Australian Men’s Club Championships before gaining his Australian Referees Badge in 1975. Serving as a referees advisor for Nunawading and Kilsyth Basketball between 1974-1979, Hunt came on board with the NBL in 1979 and soon distinguished himself as an elite referee. A fitness fanatic, Hunt took his training seriously and is believed to still hold the beep test record among referees at 17.5 minutes. 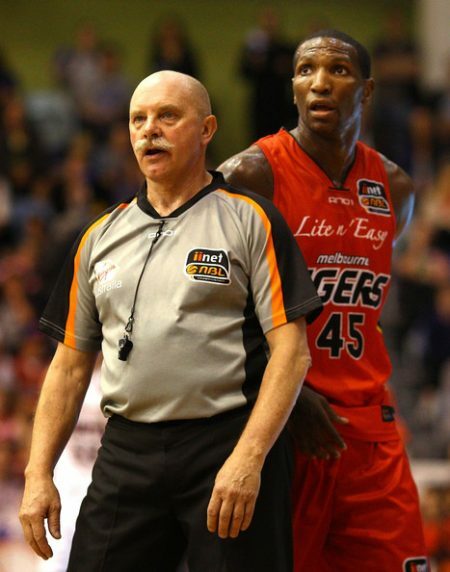 That dedication saw him survive Non-Hodgkin Lymphoma (when he had a tumour removed from behind his heart and around his oesophagus) while refereeing in every NBL finals series between 1983 and 2011 before retiring in 2012. 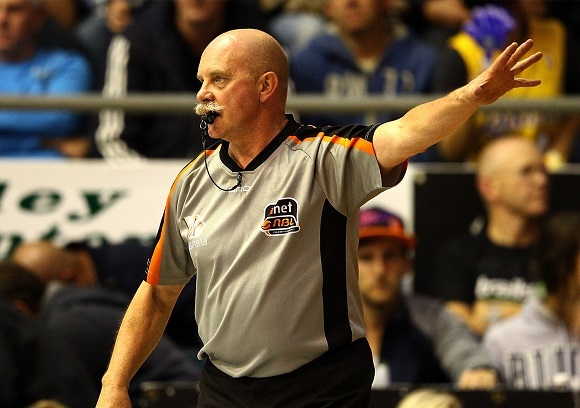 Named the Referee of the Year on four occasions, Hunt’s longevity saw him overtake fellow 2019 Australian Basketball Hall of Fame inductee Bill Mildenhall with 949 NBL games officiated and that remains a league record. Internationally, Hunt gained his FIBA badge in 1980 and toured for the next five years with Australian junior teams while he was an Oceania Championship referee in 1981 and 1985. He went on to attend the World Championships in 1986, 1990 (including the Semi-Final between USA and Puerto Rico) and 1993 as well as the 1988 Olympic Games in Seoul. Another career highlight saw Hunt named as an official for the games between Australia and the Kareem Abdul-Jabbar All-Stars which included the first basketball game played at Rod Laver Arena in front of over 15,000 fans. Hunt remains closely linked with the sport, coaching and mentoring the latest crop of NBL referees. 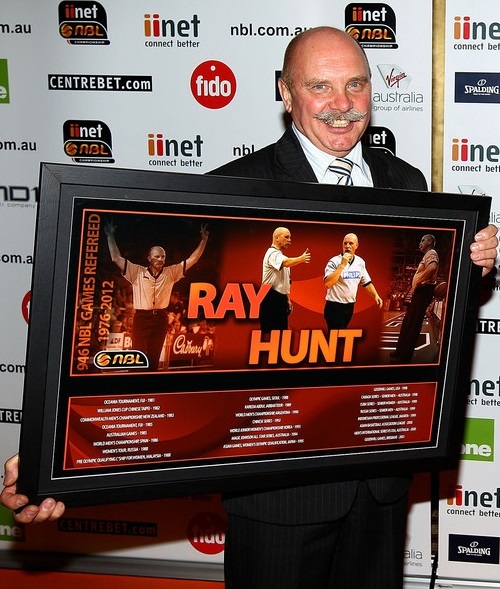 In addition to his Australian Basketball Hall of Fame induction, Hunt is a Life Member of the NBL and the Victorian Basketball Referees Association while he earned the Australian Sports Medal in 2000. Hunt will be inducted alongside seven other icons into the Australian Basketball Hall of Fame on May 10.